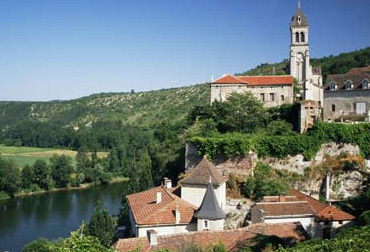 Search Rent-in-France for self catering cottages, gites and villas to rent in Lot, France. Named after the Lot River, Lot was created back in March 4 1790 during the French Revolution. It was originally created from parts of Languedoc and once extended much further to the south which included the city of Montauban. 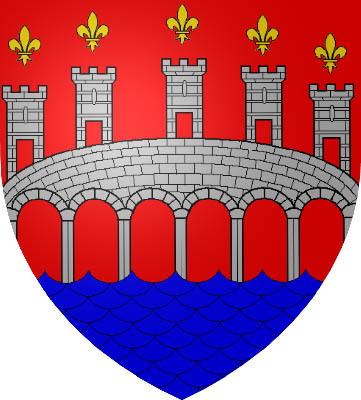 It wasn’t until 1808 that some of the original south-eastern towns were separated from the department to form the department known today as Tarn-et-Garonne. Located in the South Of France and part of the Midi- Pyrénées region, Lot is surrounded by the departments of Corrèze, Aveyron, Dordogne, Lot-et-Garonne, Cantal and Tarn-et-Garonne. Due to its rural location in the Midi- Pyrénées region, Lot is famous for its wonderful natural landscapes and fantastic local produce. Self catering holiday homes in Lot, France will offer you a wide range of outdoor activities, some excellent local food and drink and some stunning scenery of the department and its surrounding areas. 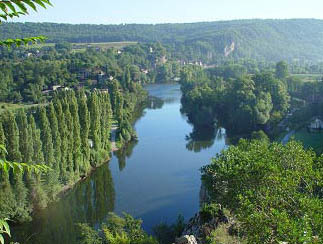 The landscape in the Lot is very similar to its neighbouring department, the Dordogne. A large part of Lot, like the Dordogne, falls within The Causses de Quercy Regional Natural Park and its beautiful landscape has been created by the rivers that have carved their way through the limestone to create a number of wonderful wooded valleys and gorges. A Lot holiday property rental situated on the banks of the Dordogne and Cele Rivers will offer you some spectacular Canoeing and Kayaking. Fishing is also a very popular attraction that brings tourists flocking to Lot each year and, with some of the fine scenery that the department has to offer, the Lot is an ideal destination for walking and cycling holidays in France. Take a number of boat trips on offer along the river Lot and admire the beautiful sights and villages from a whole new perspective. The Lot department is very popular with historians and anybody who has a keen interest in the development of South West France. The department has plenty to keep any holidaymaker occupied when staying in Lot holiday accommodation, with its intriguing Gouffe de Padirac, a collapsed cave which has now formed a huge crater, the ancient painted caves of Grotte de Peche-Merle and in general its rich medieval heritage. 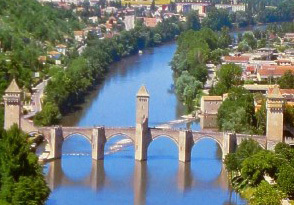 Cahors located in South West France, Cahors is the capital of the Lot department. A very popular destination for tourist visiting France each year, many of which come to enjoy the Medieval quarter and its unique 14th century fortified Valentré bridge. Other sights worth visiting during you stay in Cahors are the Saint- Barthélémy Church, dating from the fourteenth century and a national monument, the Cathédrale Saint-Étienne. Limogne En Quercy with its fantastic Sunday market, this beautiful small village is located just inside the Lot department. Be sure to enjoy lunch at Au Rince Cochon (bookings usually required) or enjoy a drink or two at one of the number of fine bars and brasseries in the town centre. St Cirq Lapopie Regarded as one of the most beautiful villages in France. It is located overhanging the River Lot hanging onto the rocky outcrop high above the river. Divided during the middle-ages there are a number of fortified houses and castles to enjoy during your holiday in Lot. All of the streets throughout the village have been magnificently preserved with a number of old houses made from stone and wood dating back as far as the 13th century. Ideal for enjoying all the outdoor activities on offer the Climate in Lot is very appealing, summer temperatures average at an impressive 27°C between the months of June and August. The winter months still attract plenty of interest as the temperatures are still remarkably warm with the temperature averaging around 10°C during the coldest months of the year. The nearest airport is Bergerac which is served by many low cost / budget flights from a number of airports in the UK. Ryanair offers direct flights to Bergerac from London Stansted, Luton, Bristol, Nottingham (East Midlands), Liverpool and Dublin - via Stansted. With Flybe you can fly direct from Exeter, Southampton, London Gatwick, Birmingham, Leeds and Edinburgh. Alternatively you can fly to Toulouse from the UK, Easyjet fly direct from Bristol and London Gatwick, Aer Lingus fly from Ireland and Flybe fly from Birmingham. Cheap flights to Lot have made it a very popular destination for holiday-makers over the last few years. If you would prefer to travel by rail, there is a direct train from Paris to Gourdon which takes approximately 5 hours. Paris is now less than 2.5 hours away from London via Eurostar with a number of trains operating daily. Overall the Lot will offer you dramatic gorges, vineyards, slow moving rivers and some magnificent landscapes along with some stunning scenery. The area is full of small villages and towns which have been unspoiled over time and make Lot a pleasure to discover and explore when taking a self catering Lot holiday rental.